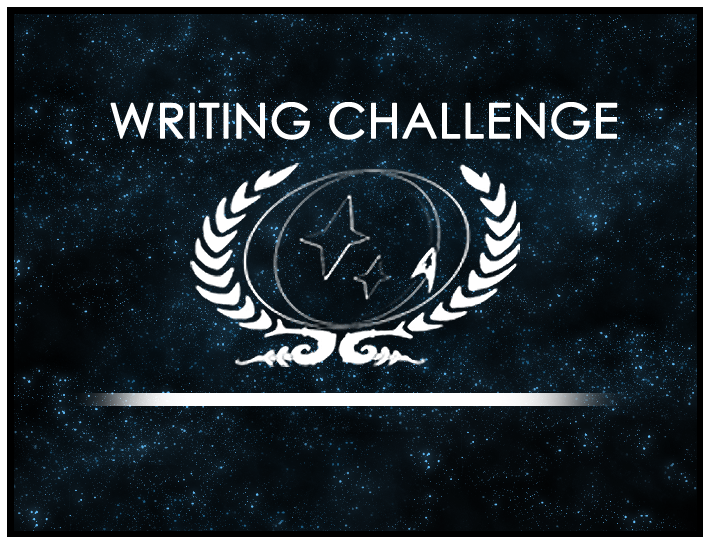 As part of Starbase 118’s Writing Improvement Month, we ran a special Writing Challenge in which we asked participants to take the title of a Voyager episode, “Someone to Watch Over Me,” as their theme. The contest winner, for the first time in the history of 118’s Writing Challenges, would receive a prize — fitting, as this Challenge was also the first contest open beyond the membership of 118! Judges were the writers between Fleet Captain Andrus Jaxx and Captains Diego Herrera, Kali Nicholotti, and Aron Kells, and they are pleased to bring you feedback from the judging table as well as an official announcement of winner. Please join the judges the staff of Starbase 118 in congratulating the writer behind Captain Della Vetri for his story “We Who Remain.” Well done! For this special Challenge, all judges offered feedback regarding each entry. Please scroll down for specific feedback on entries, beginning with the Challenge’s winner. Nicholotti: Beautifully written and woven from the beginning to the end, this story quickly snagged my attention with the ‘liveship’ and held it to the end, as my mind worked to figure out what the women were doing. I loved how the points were made without necessarily spelling everything out, allowing the reader to have an ‘ah ha!’ moment that made the story even more powerful and poignant. Though short and confined by the restrictions of the writing challenge, this story did a great job of embodying the theme for this challenge in an absolutely stellar way. After all, it’s not every day someone must ‘watch over’ the entire human race. Great job! Jaxx: This was quite a compelling bit of writing. I loved the uncertainty at the beginning and how it transitioned to a bit of familiarity for the Korris. Even though it was not novel length, I feel I really got a good sense of the big picture. I was dazzled by the technology and very immersed in the story. The ending was a the perfect combination of bitter and sweet. Herrera: There was a strongly alien feel to the opening of this entry and I appreciated the fact that it was so unique. The stakes in this piece were high, which was a brave move given the word limit, and it provided a sense of urgency throughout. The idea of a liveship was reminiscent of a Robin Hobb book I love and provided a great variation on that theme; the idea of having a spacefaring vessel grown rather than constructed is definitely intriguing and added a very nice flavour to the piece. Kells: Beautifully written and woven from the beginning to the end, this story quickly snagged my attention with the ‘liveship’ and held it to the end, as my mind worked to figure out what the women were doing. I loved how the points were made without necessarily spelling everything out, allowing the reader to have an ‘ah ha!’ moment that made the story even more powerful and poignant. Though short and confined by the restrictions of the writing challenge, this story did a great job of embodying the theme for this challenge in an absolutely stellar way. After all, it’s not every day someone must ‘watch over’ the entire human race. Great job! Nicholotti: I liked this story because it really is not every day we get to see the struggles and reality behind families in our realm. Sure, there is conflict here and there, but it is something deep and thought provoking to delve into a family nearing their breaking point, a child unable to fall with the ‘normal’ realm, and the challenges that such situations present. Though not centered around space, or ships, or what one might think about when they hear the term ‘sci-fi’, this story takes us on a mental journey of what life might really be like on another world, where the problems are very different, but very much the same. Jaxx: I found this piece to be extremely powerful. The emotions of the characters came to life. I shared the frustration of the parents and the pain in young Greir. I could tell that the writer really did their research on the Laudean culture as well as Til’ahn. I was captivated all the way through. Rori was an excellent character and I love how the story beautifully transitioned from the parents to him. Herrera: One thing that has been reinforced and reiterated throughout Writing Improvement Month is that characters are the elements that most often drive a story, and in this case that could not be more true. I found all of the characters in this entry so easy to identify with; I felt instant sympathy for many members of the family for a variety of different reasons, frustration that there was hostility toward Greir and had a great deal of respect for Rori for his calm and decisive solution to the problem that he saw before him. His embodiment of the theme for this challenge was sensitively penned and I found the change in Greir once he was removed from his home environment and his interaction with Rori to be very moving. Kells: Choosing a primary PC for an entry can be a danger as the story runs the risk of not providing enough of that character’s background within. However, that is not the case here; this early look into Greir Reinard’s life provides ample detail to situate any reader within the character’s family. I’m unsure, though, why the author chose to begin the story where it does; the story and my connection to the characters didn’t really kick in until after page two, as it seemed that the adult Reinards had a standard, modern suburban relationship that I didn’t find particularly compelling. But once this story kicked into gear, it was a dynamo! Nicholotti: This story took a more literal route in answering the theme for the challenge, and it did so in a very unique manner. Through the effective use of descriptive exposition, we get a quick glimpse into the group of Cadets as well as the one that is watching over them. Though the overall mission isn’t clear, it is apparent that the story isn’t in the mission itself, but in the interactions between the characters and what bridges each of them to the others. Great job in weaving that aspect together as it can often be one of the more difficult. Action is always easier than ‘the in between’, especially in writing, but here it was expertly done! Jaxx: This was an interesting story with an intriguing plot. Having any place where the inhabitants vanished is a situation begging to be explored. I loved the fact that it included cadets and served as a training tool. Having the Romulan involved was an interesting twist to the story. The basement was a very interesting find. I found that this story left me wanting more and kept me engaged throughout. Herrera: I felt that choosing cadets for this entry was a very good idea. Additionally, the theme of the challenge was incorporated on a number of different levels and it’s not often that an entry is able to so thoroughly weave a motif into its fibre. These elements, combined with well-defined and instantly recognisable characterisation and some inventive plot ideas made for an interesting read. Kells: The writing is very closely controlled: spare but with necessary details, voiced but not expansive, cognizant of itself but not self-conscious. The story uses the available universe well, too, and engages with the reader’s knowledge of Starfleet, Romulans, and the relationship between the two. My difficulty was that the story as a whole never coalesced. Why was the reader asked to view that particular moment? Why was it relevant to the characters over what happened five minutes after the scene ended? I’d urge the author to push his or her writing skills to challenge both character and plot in a future entry and force the reader to engage viscerally with the moment.